The Pittsburgh Penguins and Nashville Predators battle during the 2017 Stanley Cup Finals at PPG Paints Arena in Pittsburgh, Pennsylvania. As the weather transitions and summer nears, the finest two months on the sports calendar are upon the hockey and sports community. All the talent, ache, sweat, determination and dedication of players on the National Hockey League’s 16 best teams comes full throttle in the Stanley Cup Playoffs. With six cities (Columbus, Las Vegas, Nashville, Saint Paul, San Jose, Washington D.C.) awaiting their first Stanley Cup title, two (Philadelphia, Toronto) seeking their first title in over 40+ years, and one (Pittsburgh) seeking their third consecutive title, the cities of all 16 playoff representatives will be fiercely representing their teams with pride and passion. 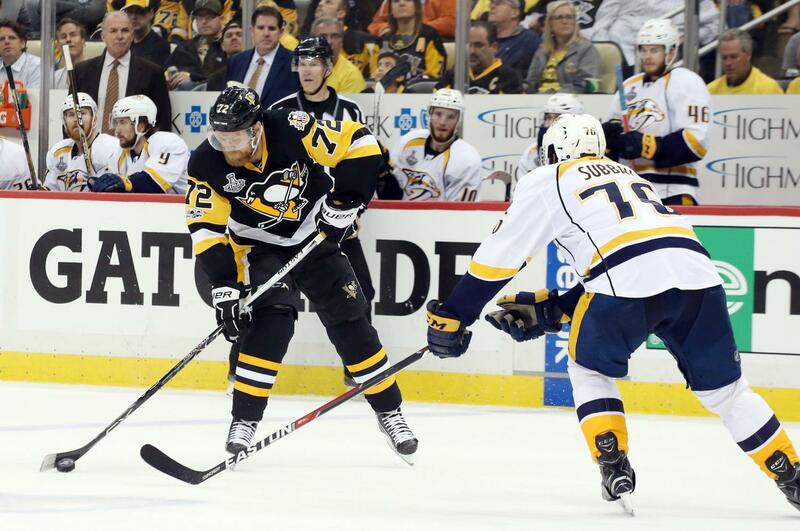 Pittsburgh Penguins (47-29-6; 100 points): Do not let the record fool you. Pittsburgh, who is making their 12th consecutive Stanley Cup Playoffs appearance (longest active streak in NHL), hit a rough patch in the beginning of the season before turning on the jets for good when the calendar turned to 2018. The back-to-back Stanley Cup champions boast all the necessary experience, in addition to the super-star talent of Sid Crosby and Evgeni Malkin. The only real hole is the defensive core, but they won last year without their best D-man in Kris Letang. Nashville Predators (53-18-11; 117 points): The Presidents’ Trophy winners are still aching from last year’s tough Stanley Cup defeat to the Penguins, but this year the Predators enter the dance as the #1 overall seed, as opposed to last year’s berth as the #16 overall seed. Their biggest question remains this: Can Pekka Rinne overcome his lifetime struggles while playing in the city of Pittsburgh? If so, then the talent of Rinne, P.K. Subban, Roman Josi, Kyle Turris and Viktor Arvidsson could be enough to bring Tennessee its first title. If not, then it is hard to see Nashville overcoming Pittsburgh. Vegas Golden Knights (51-24-7; 109 points): Vegas defied every odd, obstacle, and expectation presented to them in their inaugural season, becoming one of very few teams to make the playoffs in their first season of competition, let alone capturing the Pacific Division title. Although the group has never made the playoffs together, a mix of nice veterans (Marc-Andre Fleury, James Neal) and young fire-power (Jonathan Marchessault, William Karlsson, Shea Theodore) could lead the charge for Vegas. A finals appearance would be something special, but Nashville’s all-around game will slightly win out. Winnipeg Jets (52-20-10; 114 points): Due to an unfortunate playoff alignment, the the top two seeds in the Western Conference will most likely be facing each other in the Western Conference SEMIFINALS! Winnipeg, like a few other teams, are led by young talent such as Patrik Laine and Nikolaj Ehlers. What sets Winnipeg apart is the emergence of their young goaltender, Connor Hellebuyck, who tied a regular-season record for the most wins by an American-born goaltender in NHL history. The Jets vs Predators would make an epic Western Conference Final, but the Predators will likely prevail over the Jets too. For this year, Winnipeg can pride itself on at least claiming the first playoff win and potentially the first series win in franchise history (previously the Atlanta Thrashers). 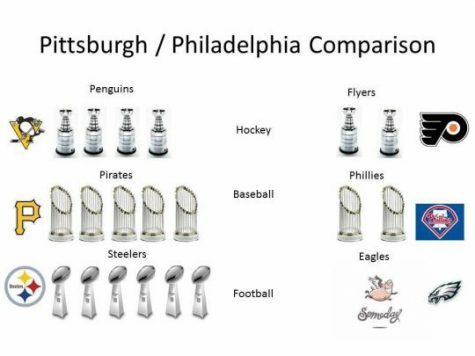 In conclusion, it is hard to see any other team than the Penguins from the Eastern Conference winning the Stanley Cup. Could this be the Western Conference’s first title since 2015? Or will Pittsburgh prevail again?